The Midwest is well-known for being a great place to enjoy music throughout the summer months, and 2018 is going to be one of the best years yet for concert goers. If your group is seeking a concert event to remember for years to come, here are five that promise to entertain and enthrall! 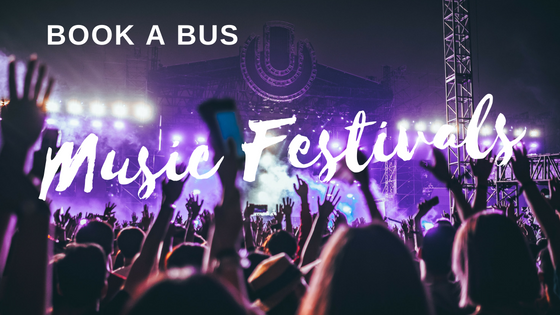 Follow up your Fourth of July celebrations with four nights of music at the 18th annual Common Ground Music Festival serving up just about every popular genre from rap to country to pop and everything in between. Artists from across Michigan like Shelby Ann-Marie, Prime Suspects, and NF, as well as national and international stars like Hunter Hays, Jessie Reyez and Judah & the Lion will perform each night on multiple stages throughout downtown Lansing. During the day before concerts begin, there are tons of things to do in greater Lansing like shopping, sightseeing and more. Accommodations are available downtown near the festival site and throughout Lansing and East Lansing. Before the Civil Rights Act of 1964, African Americans were segregated in many ways, including in their vacation options. But in 1912, four businessmen purchased a 2,700-acre tract of land in northern Michigan’s Lake County near Idlewild. Together they organized Idlewild Resort Company and began selling property parcels to African Americans, creating what became known as “Black Eden,” or Idlewild, the largest African-American resort in the U.S.
Over the next half-century, Idlewild became a haven for black writers, musicians, and entertainers, as well as families who wanted to enjoy a vacation free of civil and social stigma. People like Della Reese, Sammy Davis Jr., Aretha Franklin and Louis Armstrong were among the many famous names who visited and performed at Idlewild. They were joined by thousands of families from across the country who gained fond memories of weeks spent swimming, horseback riding, fishing, and hunting in the lakes and woods. In 1959 the site was listed on the National Register of Historic Places. After 1964, African Americans could vacation anywhere they wanted and Idlewild went into decline. But in the 1990s, a group of developers and former visitors began revitalizing the resort and since 2014 have held an annual Idlewild Empowerment & Music Festival Weekend. This year the event will include presentations on the resort’s history and other topics by former performers and other notables. Music will include performances by 10-year-old youth drumming sensation Maurice Fears Jr., violinist Nadia Johnson and vocalist Rene Rowe performing a musical tribute to the late Della Reese. Also on tap are more musicians, guided tours, workshops, and vendors. If you’re ready for an all-out party of country music, camping, and friends, you do not want to miss Faster Horses Festival 2018. It’s hard to find more fun in one place than at Faster Horses in Brooklyn, MI where country music lovers of all ages come together for three days of some of the top country names. This year’s lineup includes Billy Currington, Blake Shelton, Brooks & Dunn, Locash, Raelynn, Midland, Florida Georgia Line, and Nikki Lane among the more than 30 acts to be performed on two stages. Chicago’s Grant Park will host Lollapalooza 2018 with a lineup that includes more than 170 performers and bands from around the world on eight stages. “Lolla,” as it’s known, is a four-day celebration of music that really does have something for everyone. For kids, there’s Kidzapalooza, a securely designated area with child-friendly entertainment from 11 a.m. until 7 p.m. each day. For groups, concert/hotel packages are available with special perks for the event. Of course, Chicago has plenty of other things to do if you want to stretch your legs for a day and Choose Chicago has everything you need to know about where to go and what to do. Be a “Coastie” and rev up your Labor Day weekend at summer’s last stand: North Coast Music Festival in Chicago’s Union Park. This three-day-long concert includes dance music, hip-hop, and rock performed on four stages by dozens of local, national and international bands. Headlines for 2018 include “future punk” pioneer Jamiroquai, Grammy-winning rhythm and blues phenom Miguel, as well as Axwell ^ Ingrosso, DJ Snake, The Revivalists, and Yellow Claw. This immersive event includes daily complimentary yoga sessions, a pop-up art gallery and more. Merchandise and food vendors will be onsite and there are plenty of hotels to pick from in Chicago.